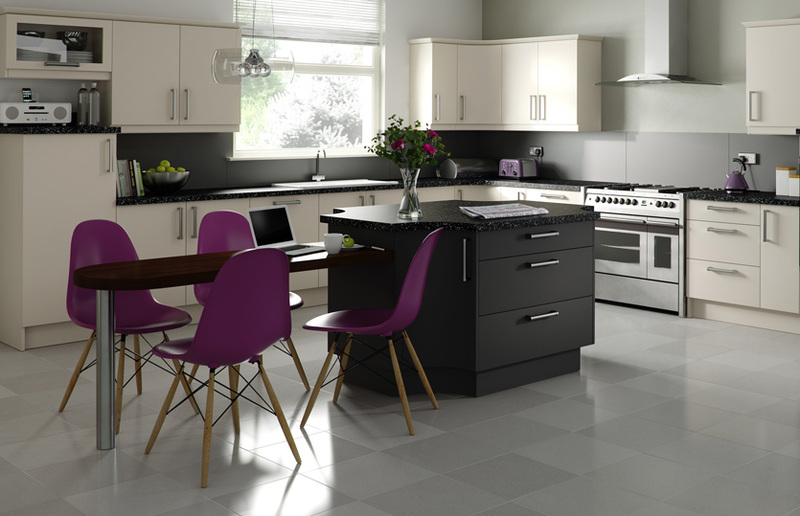 Opposites attract with the contrasting dynamics of dark and light for this Duleek kitchen. Bold Graphite gives distinction to the subtle neutral tones of Mussel. While the vivid pink accent colours show how you can add your own panache to the proceedings. Adaptable for modern living, the curved island and versatile deskcum-eating space allow you to make this the ultimate multi-function space. Click the button to request a free large sample swatch of Mussel and Graphite. Click the button to purchase a Sample Premier Duleek design door in the Mussel and Graphite finish. The Premier Duleek design is also available in ALL non-gloss finishes. 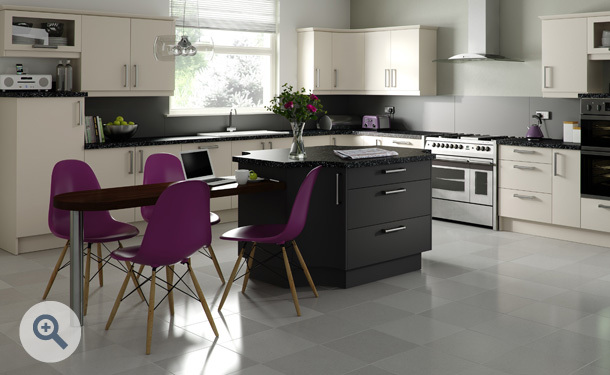 The Premier Duleek design is also available in ALL high gloss finishes. Please Note: The Premier Duleek design is not available in any high gloss finishes.